The Chabot family established their repute in the wines and spirits trade circa 1828. 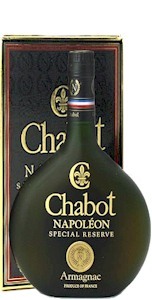 Based in the village of Labastide d'Armagnac, Chabot came to the attention of Cognac man Michel Camus, who was instrumental in making Chabot into Armagnac's biggest export. 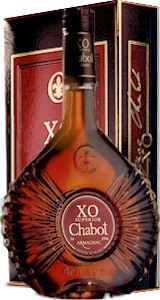 Armagnac is distilled in much lesser quantities and by much smaller producers than neighbouring Cognac, achieving a finer, more complex, oak influenced spirit.